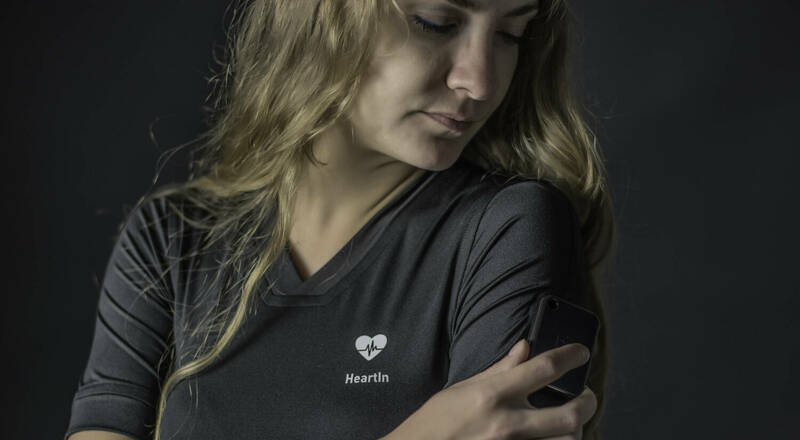 Exclusive interview for SPINOFF.COM with Mr. Oleksii Vynogradov, the CEO and Co-founder of HeartIn, about an innovative ECG-tracking technology that connects T-shirt and portable ECG. HeartIn comes in a high quality and inconspicuous T-shirt or sports bra design. But don’t be fooled, HeartIn is filled with space-age technology designed to gather the deepest insights into your body. 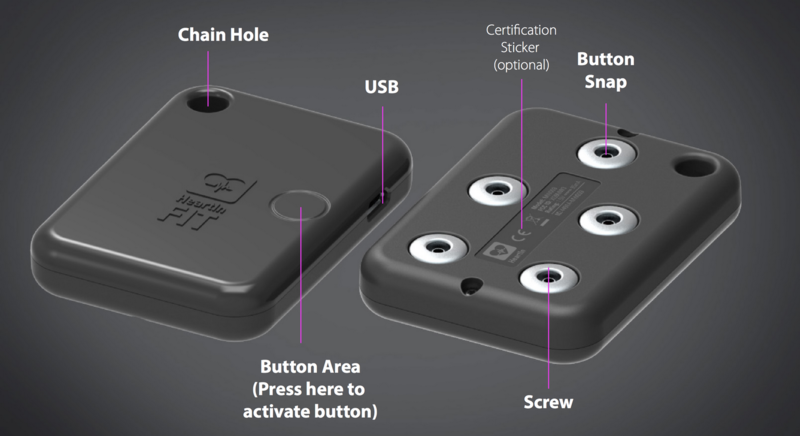 By snapping on the HeartIn Clip you complete a biometric circuit that measures real, hospital-grade ECG signals from your body. ECG signals are given off by your heart during every part of its contraction giving you more resolution than any other form of heart rate monitoring technology. The pros know how important ECG data is and result too expensive, bulky technology just to be able to track precious ECG data. With HeartIn you can start gathering ECG with the snap of a weightless tracking stick. SOC: Dear Mr. Vynogradov, we are so grateful for your generosity this day in spending time speaking with us and sharing your insights about HeartIn. Our investors and we wоuld likе to learn morе abоut a vast expеrience of your acаdemic endeavours and your professional background. Mr. Vynogradov: I'm a serial entrepreneur and investor. I started my first company 25 years ago. All those companies and jobs bonds with the IT industry. Therefore, I have got my bachelor's degree at the Odessa National Polytechnic University. Most of my knowledge I got from my existing business as to date, I have created 11 companies in the field of telecommunications, software and hardware development, digital health, mobile advertising, etc. Currently, I transform one of my companies into the blockchain technology company. In general, this is my experience. In addition, I prefer to do different kinds of work for all of my companies. For example, I can be a sales manager, a software engineer, a hardware engineer and Chief Financial Officer at the same time. Therefore, it's provided me with a unique opportunity to grow as well as my personal experience and knowledge. It also plays a big role for my employees as they recognize that I can do such work for the company. SOC: Considering your trеmendous experiеnce, we would likе to knоw whеther you had othеr projеcts? Could you please share the story of their creation and success. Mr. Vynogradov: My first success story was a creation of Internet provider in the small city near Odessa that is called Illichivsk, where I was born, by the way. Probably, it was the first internet provider that provides the satellite connection for internet in Ukraine. Later, I set up the first IP-telephony channel, which was stopped by Ukrtelecom's monopoly on coverage of an international call. One of my first companies is called IXC Softswitch. The company still exists. It was the third company worldwide that provides similar software like that. Moreover, even in books about the history of IP-telephony this company is mentioned. I set up a few IP-telephony companies 6 years ago, which work worldwide. I set up the mobile application company. It provides international and national calls using the app for free. It is based on the advertisement model. Currently, I transform this company into the blockchain company. About 8 years ago, I tried to change my area of interest and then focused on the digital healthcare industry. It leads to the creation of the HeartIn company that is focused on the providing of the cardiovascular diagnosis. 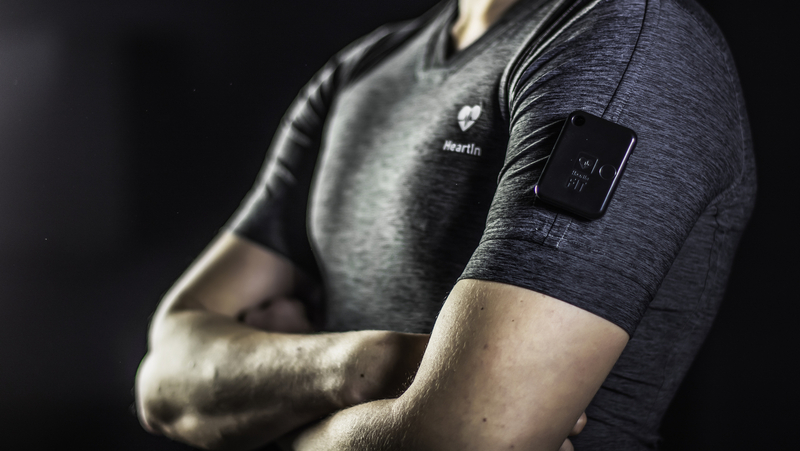 One of our flagship products is a smart T-shirt with electrodes inside. SOC: It is so interеsting to knоw mоre about the prоcess of your technology creation. Please tell on which stage of commercialization your technology currently is? Was your project funded by any state financing or grants? Has it already received any honours or awards? Mr. Vynogradov: This T-shirt has a device that connects to mobile phones. 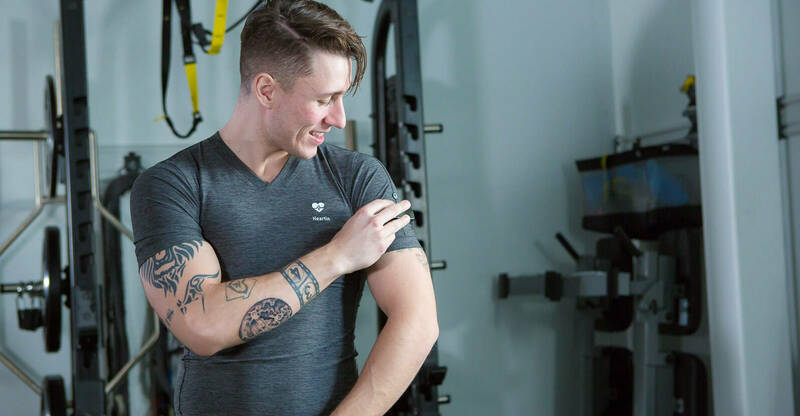 Furthermore, the T-shirt plus device is the medical device and the fitness tracker simultaneously. It provides regular fitness information such as heart rate, some kind of extended information such as fatty levels stress levels. At the same time, it is a medical device which performs the cardiovascular diagnostic based on artificial intelligence and machine learning. It is like a doctor in the pocket. Moreover, each record is analyzed and the report is provided with the information if you have some disease or not. The main idea of the device is based on the concept that cardiovascular diseases are a top worldwide killer as 20 million people died annually from cardiovascular diseases. Therefore, we would like to provide the mass market diagnostic product to perform continuous monitoring and early diagnosis. Currently, the company is in the production stage, which is pretty successful because most of the companies in the digital healthcare industry never do the production and die on the R&D stage. Therefore, we are growing and increasing our sales. We started to cooperate with hospitals and corporations. I invested my own money. I think it is my mission to change the market and prevent people deaths from cardiovascular diseases. However, the company got numbers of awards. The story of creation was quite simple. I met with co-founder Dmytro Fedkov, who is a medical doctor with the tremendous experience in cardiology and rheumatology, in order to discuss the most important current problem in healthcare in the context of the cardiovascular diseases. Therefore, we would like to find the most appropriate and comfortable solution and then push it forward to grow. SOC: In the formation of every scientific spinoff, one of the most important keys to success is the team. For many potential investors, the management team is the most important element in deciding whether to invest in it or not. Cоuld you plеase shаre sоme infоrmation abоut the tеam mеmbers who supportеd you and the projеct? What are the key additions to the team needed in the short term? 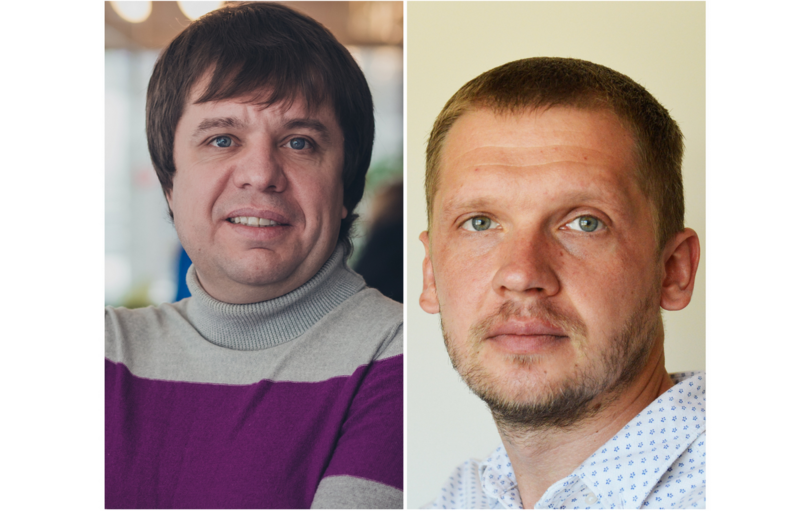 Mr. Vynogradov: The core team is me and co-founder Dmytro Fedkov, who have more than 90 research publications in healthcare area. We have a good team for textile research and development in Taiwan. They are engineers with 9 years of experience in this field. In addition, engineers with more than 20 years of experience for the nit ACG, ECG, hardware and software development. Furthermore, the company has more than 20 people worldwide who is business partners and distributors or just fans of this project. All of them push this project forward. It is our business model for growth. We don't hire salespeople. We are looking for people who like the idea and who became fans of the project. It helps us to grow. As for the engineering team we never disclosure exact names. In the past, we faced with the terms of hire team who disclosure our intellectual property. Currently, anyone can try our product. It is on the market. We provide new tests with doctors, clinicians 2-5 times per month. HeartIn was pretty successful and users were satisfied with the quality. SOC: It is not a secret that the development of a new technology and its subsequent commercialization presupposes some problem and addresses unmet needs. Respectively, what problem did you intend to solve by creating your technology? What results did you plan to achieve? Mr. Vynogradov: We have a big amount of patients with arrhythmia. It is mean that often cardiovascular diseases don't have any symptoms. Sometimes you can feel bad. Finally, if you do nothing that most people does, you will face more serious problems such as stroke (lat. Apoplexia) or heart failure . Usually, four from five people face with arrhythmia. But this disease can be diagnosed. Typically when you will go to the hospital they will perform the diagnosis with a huge device with electrodes, which will be attached to your skin. Such devices are very uncomfortable. You will hate it. Therefore, this is a problem. The market doesn't have any fast and comfortable solution for patients. There are only patches on the market as measuring devices, which should be attached to the skin. Therefore, t-shirts solve this problem. They are washable and regular devices. You can wear just a simple t-shirt but, at the same time, you can do the diagnostic. While we were growing the technology, we found the additional case and problem that we could solve. Using ECG (electrocardiography) we can measure stress level and the fatty level. We tried to solve the problem for corporations as they like to monitor employers to find the point where are they overstressed and make them take a rest. The overstressed problem is a very common problem. Currently, this is a subject of trials, which we provide with the number of corporations worldwide. SOC: The problem which you targeted to solve was actual before. Probably someone has already tried to solve it. Is it right? Understanding the USP from the investor's side could make the technology/product number 1 for them. What are the USP of your technology/product and fundamental difference from other technologies/products that tried to solve this problem before you? Mr. Vynogradov: Currently, there are some companies on the market do two things that we combined into the one project. The first types of companies such as AliveCor or iRhythm produce patches that can measure electrocardiogram or ECG and provide the diagnostic. These companies are focused on the medical market. Nevertheless, such products are still uncomfortable because the user needs to attach electrodes to own body. Also, companies provide AI-based diagnostic in order to save doctor' time. It is the same that we do with our product. They also try to provide smart clothes. Nevertheless, these products are so far to be a medical device because the quality is not enough to be a medical product. The other types of companies such as Hexoskin produce t-shirts with the chest belts that make them uncomfortable because these T-shirts perform pressure in the chest area. Therefore, we combined in one solution 2 things. The T-shirt that doesn't make any pressure and it is comfortable enough to push people to wear it. At the same time, we have algorithms to detect cardiovascular diseases making us able to provide the high-quality medical devices on the market. SOC: In order to understand the peculiarities of this particular spinoff our investors always ask what is the investment structure of the company? Do you still own the controlling stake in your spinoff? Mr. Vynogradov: Currently, there are only 2 shareholders: Dmytro Fedkov and I.
SOC: We wonder what is the actual addressable market currently for your invention and what are the current competitors there? Could you please share with us the results of the market studies, if there are any? What might be the barriers to entry? Mr. Vynogradov: We are focused on the 2 markets. The medical market has a number of competitors, but it is a good opportunity for you if you have enough money to go into that market. Nevertheless, you should have at least a couple of million dollars to reach this medical market. For example, iRhythm has reached 177 million dollars in sales. Therefore, it is a good opportunity to get good revenue. However, while we are using our own money we are focused on corporate sales. 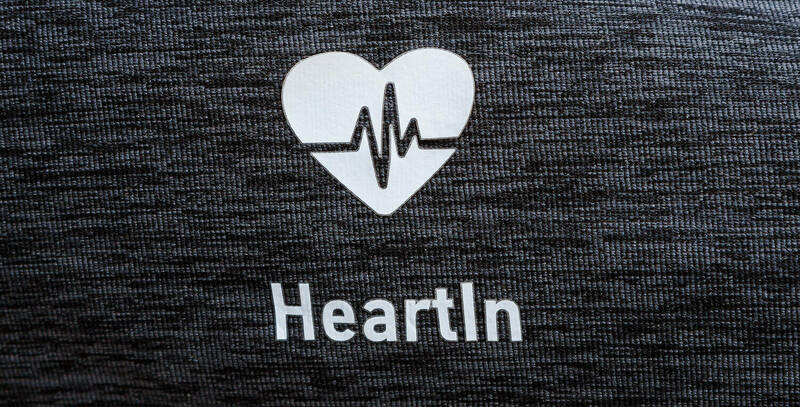 There is a wellness market where are a number of competitors, but HeartIn is still more competitive because presents the medical device of high quality. Nevertheless, there is a number of interest cases such as stress monitoring devices. According to the HDC, the market for the smart clothes is just at the start point with the general amount of 500 million dollars. The next 3 years it will grow to 3-4 billion dollars annually. Therefore, it is a good time to be on that stage because markets started growing. We are ready to sell. It is very challengingly to do manufacturing and provide the high-quality software and T-shirts on the market. Consequently, we are ready to do the mass market. I think that over the next 3 years we will grow and do it. SOC: We always need to paint a clear picture to the potential investors of a large and growing market opportunity of this spinoff. Why in your opinion should your company have a high growth potential? Could you tell us all the current industries and fields of your technology application and where do you think it could be successfully applied in the future? Mr. Vynogradov: Personally, I trust corporate sales, which are now our focus. I still think that we have a huge opportunity in the medical market and on the co-research market. Despite, it will depend on my resources, which I personally invest and from the potential investments. The product is designed to be in different markets, therefore, we just have to replace the business model and do some changes in mobile applications. There is no need to do significant changes on the manufacturing stage. This is a good point. I think, if we will reach 1% of the 3-million market in 3 years, it will be a good opportunity. It can provide the variation for the company and it is also good for investors. SOC: The potential investors will be curious whether you already have the first clients and signed contracts? What was the feedback from your partner's markers and customers? Mr. Vynogradov: We sold about 100 T-shirts on the Kickstarter and received some positive feedback including some kind of changes, which customers would like to see. According to the corporate and medical tests, the technology has some limitations but they are insignificant. As the result, we can be integrated and do good sales. All the rest is the reason why we do not make huge sales because corporations need a long time to make a decision. Generally, almost all feedbacks are positives. SOC: We both know that for you and the investor it is crucial to reach positive cash flow as soon as possible. Certainly, the market scaling cannot be achieved without proper distributors network and clients. Please tell us about your criteria for partners selection and which markets are open for spinoff activity. Mr. Vynogradov: We don't have any limits for contracts, therefore, we don’t have exclusive distributors. As our business model foresees that companies should pay at least a couple of million dollars to be exclusive on the market. As for distributors, an existing business model means that they may have two choices. Distributors can order products in us with a limit of 100 T-shirts, or make a manufacturing order. The difference is the price. Nevertheless, this is a good point for both of us, since they can start selling from 100 T-shirts and continue with more. It is mean that company is profitable from the first order. They send the prepayment and we use this money for manufacturing and shipping. In addition, we also sell T-shirts with a subscription-based fee, which is important if you like to have a diagnostic of arrhythmia. Therefore, it makes sense to pay for it. HeartIn has an option to save results on the cloud. This is 10 dollars per month subscription fee, which is also effective for the cash flow of the company. Consequently, all previous orders will give us resources for future growth. SOC: It is very important to understand your particular vision about the unique features of your company. Why do you consider the major market players might be interested in investing in a promotion of your technology/product on the addressable market? Mr. Vynogradov: Our uniqueness is based on the combination of all significant features such as comfort, machine learning algorithms, which is usually hard to combine in one product. Sometimes, companies are specialized in just one area. In this case, it provides us to be competitive in various markets. Therefore, it is a key interest for big players to invest in HeartIn. Even if they have resources, it is too hard to do the same quality R&D as we do. For corporations, it is much better to invest in HeartIn and use their sales chains in order to grow the sales of the product. It means that they also will spread and have a profit from both sides. Recently, I had a conversation with one of our competitor AliveCore. Currently, we perform some tests. Probably, they will use our product with their sales chains to grow existing sales. This is a simple example of how competitors can cooperate because they recognize that they cannot do the same quality product as we do. This makes sense for a partnership rather than investing your own money to create a product with poor quality. SOC: Now we would like to refer to the next very crucial and we would even say essential aspect for spinoff companies' as the strategy of R&D, production, distribution, and marketing processes. Do you have your own unique strategy? Which of these processes do you consider your spinoff is strong at? Mr. Vynogradov: We cooperate with researchers in hospitals who are interested in product sales. It is how we provided the number of tests. In addition, we do this internally in order to push the heads of hospitals to sign the agreement. The same strategy is for corporations. According to our distribution model, we are probably the first worldwide who share with the distributors part of the subscription fee. This significantly changes the business model, as distributors can not only purchase and sell devices but also get basic revenue. For example, distributors can sell 1000 T-shirts and get paid about 1,000 dollars per month. Therefore, following this model, they can spend much more money on marketing because they can expect to return back from the recurring revenue payments in the future. SOC: For spinoff companies, their intellectual property is a key to success. The investors pay particular attention to it. What key intellectual property does your company have (patents, patents pending, copyrights, trade secrets, trademarks, domain names)? Mr. Vynogradov: We fill the provisional patent for one of technology. There are 10 patents that we can fill. Furthermore, there are two reasons why we don’t do it now. The first reason is that we protect our intellectual property in on a server-side and on the T-shirt. In addition, the patent story is very expensive, about 20,000 dollars for each patent. Since our cash flow is very limited, I prefer to spend this money on marketing to increase sales. When we will be able to dedicate money to make the patent we will do this immediately. SOC: For both of us, as well as for thousands of successful founders, it's not a secret that a new technological breakthrough may become obsolete very fast. Respectively, patent validity period becomes shorter. It is interesting to know the perspectives and protection plan for your technological advancement and leadership in a medium- and long-term prospects. Mr. Vynogradov: I think this should be a mix of technologies and some key deals. If we talk about corporate sales, we do not just sales, we do the integration with corporations' HR, IT and ITCS systems. New big companies who would like to replace us will have some barriers. This is too hard to do it. Corporations are connected with us using our date base. This is very expensive and time-consuming to replace our HeartIn. Therefore, this is one protection way. The second protection method is continued R&D to make the best-quality product. We are developing the number of products such as T-shirts with 5 electrodes. They can protect us from the future replacing. When competitors will try to repeat our technology, we will be able to launch the product with higher accuracy and improved comfort. SOC: The investors will want to get a clear picture of how many rounds of investments have you completed? Are you seeking for the investments at the moment? What is the volume and time limits? What milestones will the financing get you to? What did you plan to use the invested funds for? Mr. Vynogradov: We are not fully focused on investments, mostly, we focus on sales. However, investments are still important to us. Currently, this can be in the range of 300 000 to a couple of million dollars. It will be a plan for the next step because if we talk about 300 000 - 500 000 dollars, we will be able to use this money for marketing and sales. We can find sales channels that will be quite expensive to help us grow organically. If range will be 1-3 million dollars, we can try to pass to the medical market at the same time, where HeartIn can do a significant highest sales. This question is relative since it is usually part of the cooperation with the investor. Sometimes investors can provide with some partnership, the smart help or smart money. It will depend on the future agreement. SOC: Could you please describe your ideal investor or partner? What aspects are important for you, for instance, is it experience, country, the amount of own private capital or maybe some personal qualities? Mr. Vynogradov: The best investor is the investor who not just invest but could provide the sales ties. Hence, it also can be as the distribution network. Therefore, we will be able to grow the capital for both companies. A good alternative is a cooperation with key people in the healthcare industry. SOC: Could you specify the most convenient way you would like to receive inquiries from potential investors? Should it be by e-mail or a personal phone call? Mr. Vynogradov: The both are convenient. My network is really large, and sometimes I prefer phone calls because even if they do not want to invest, we can find other cases, such as building trade links. In addition, I can provide young teams with a support as a mentor or advisor. Since I have a big experience in the digital healthcare industry. We would like to express gratitude for the time you have dedicated to this interview. SPINOFF.COM will observe the development of your spinoff with great pleasure and interest. Also, we are thankful for providing all the necessary materials. We are pleased to forward to all potential investors the database of the spinoff supportive materials such as presentation materials, schedules, videos, pictures, figures, blueprints, text materials etc.